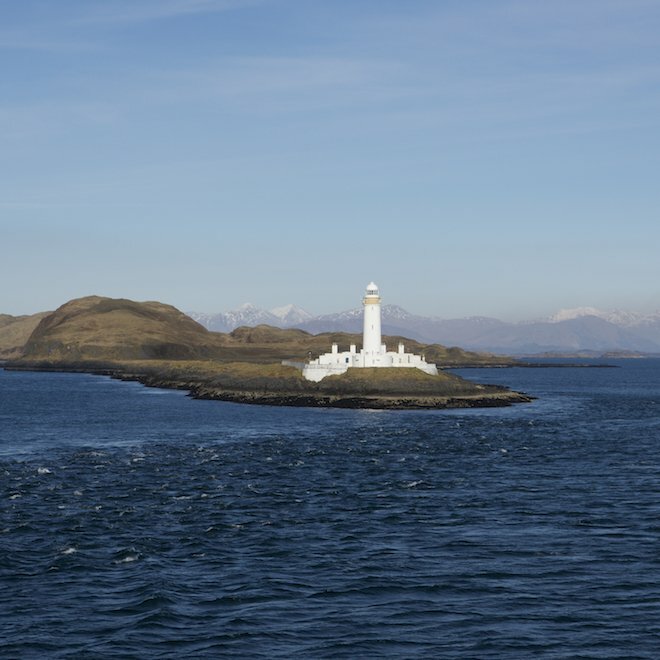 Last year an island-wide project was launched to help locate or address remote properties and places on the Isle of Mull. Nearly every property on the island, and on Iona too, was given a wooden plaque with its What3Words address on it. This would help the Emergency Services (and in the process, everyone else!) locate every property on the island. What3Words is an innovative global system which has divided the planet in to 3 square metre blocks and awarded each and every block with its own unique three word phrase. On land and on sea. It is simple to use and works with Google Maps. Not only can this help the Emergency Services but it can help us all. Our doctor’s surgery in Tobermory doesn’t have a permanent doctor in post, so there are different locums very week. If they go out on a house call they may not know where they are going. The postcode does not always need to one particular home. The other Emergency Services may not know the outlying areas as well as they know the villages. The What3Words system can help anyone find a particular house or place. For example: I have the What3Words App on my phone. 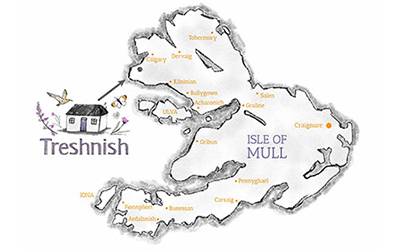 I searched its map for Treshnish, Isle of Mull. It came up with awards.incurring.moves in the centre of the Treshnish farmyard. There is a link at the bottom to various different mapping Apps, like Google Maps and Apple Maps. I am going away for a few days and will arrive at my destination in the dark, down a single track road in Donegal. I already have the What3words for my destination so will use with Google Maps to find my way! 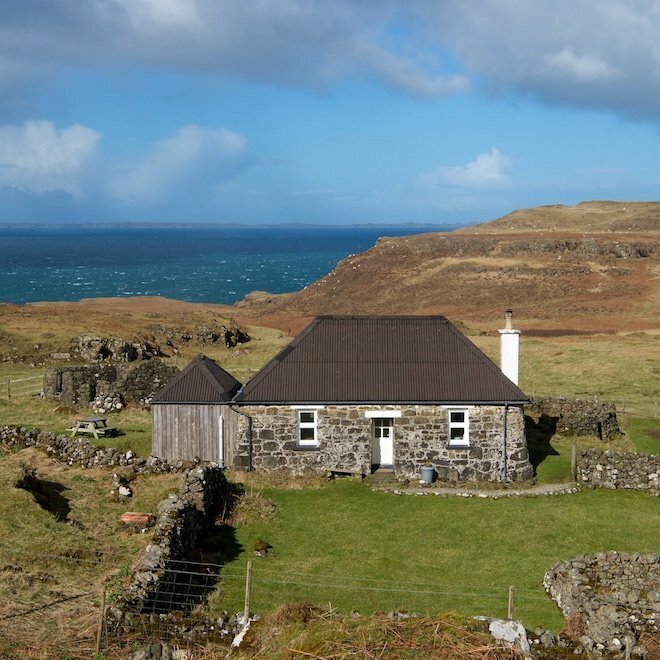 We were given one plaque for Haunn and one for Treshnish, but they were not cottage specific. We have now created a new What3Words for each of our cottages to give our guests another way of finding the cottage for the first time. 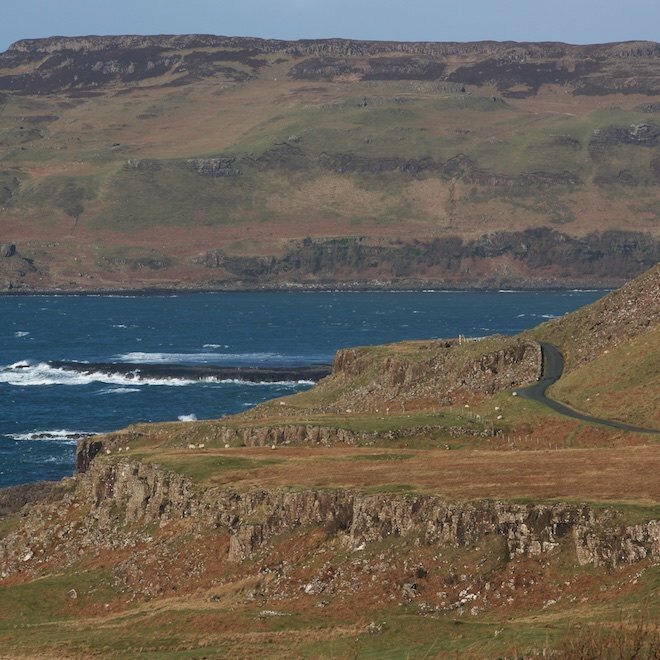 Last week an ambulance was called to attend to a walker who had broken their leg on the Treshnish Headland Walk. 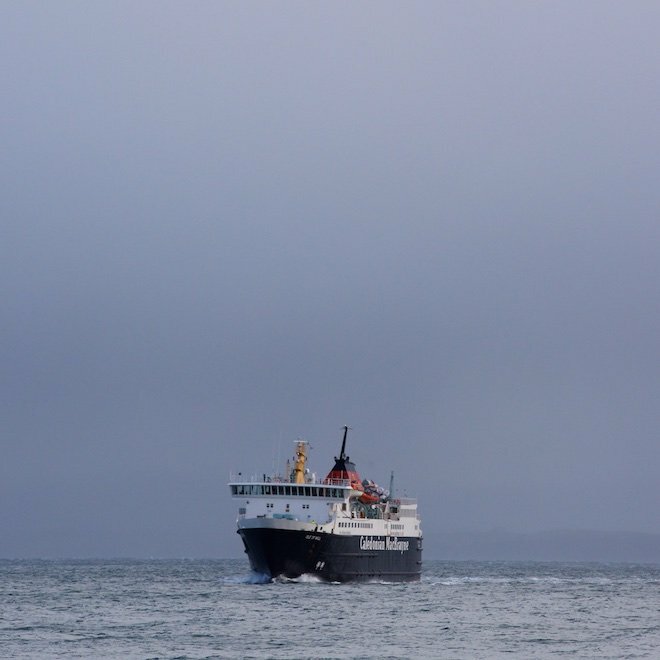 In the end she was medivacced to Oban by helicopter as the last ferry had already sailed. Had they got the What3Words App on their phones, they could have used it to describe their location to the Emergency Services. I have not tried this offline, but the Whats3Words website claims that the App works off-line. Luckily these walkers were on an established path when the injury happened so they were easily found. We have the What3Words plaque beside the telephone in the Phone Room.